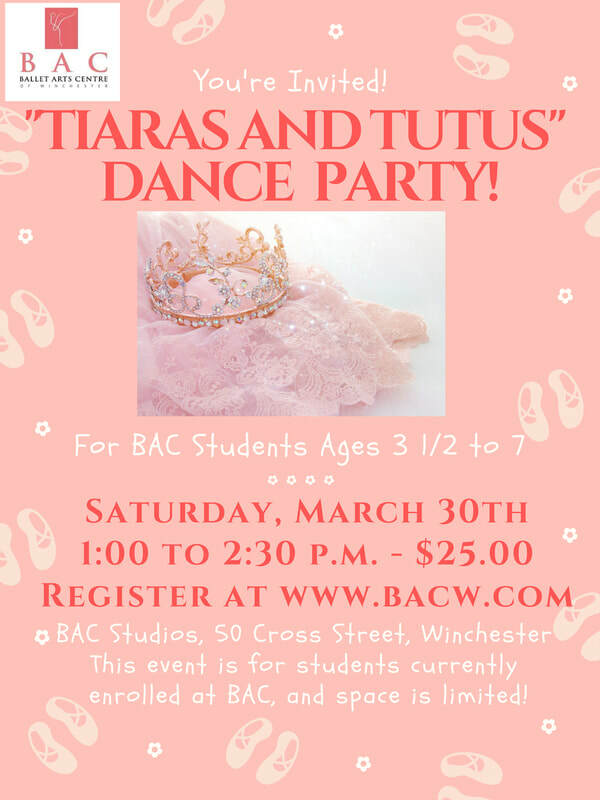 "Tiaras and Tutus" Dance Party - Ballet Arts Centre of Winchester, Inc.
"Tiaras and Tutus" Dance Party! ​a bit more than their weekly class allows for. This "Party" class will include dancing, fun tutus, a story read, and tiaras for everyone!